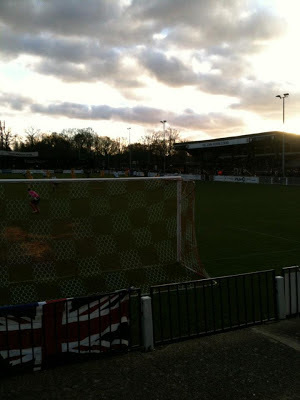 Gandermonium: N.Y.E & Bromley away! So sit back, grab, your post NYE beer, or in my case freshly made brew and enjoy! So myself and Dukey were collected by Mr & Mrs Greek from Duke's gaff and on we went to Millers Gaff to meet up with the other members of the loyal firm. However to our dismay & disspointment a few of the firm blew out last night for some reason or another...oh well more Buffet food for me! 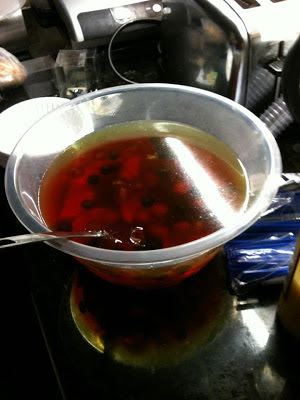 So Greek unwrapped his late Christmas gift for Windy-a Greek special, tailor made Vodka jelly special, this is now officially called A Greek Special which contains the following approx; 1 litre of vodka, a pea-sized amount of jelly and various fruit, and it can only be described as 40% proof Jelly desert! So the drinking started, a number of weird and strange looking beers from all over the world that Duke purchased from Tesco's (such class) well it is N.Y.E after all I suppose...or Duke is trying to be upper class, no scrap that he just fancied a change from the Bulmers! So, as usual Duke had persuaded me to buy a couple of drinks seeing it was N.Y.E ( even though under the strictest of orders not to drink)....I did, sod it, it is after all,again a 'special' night. 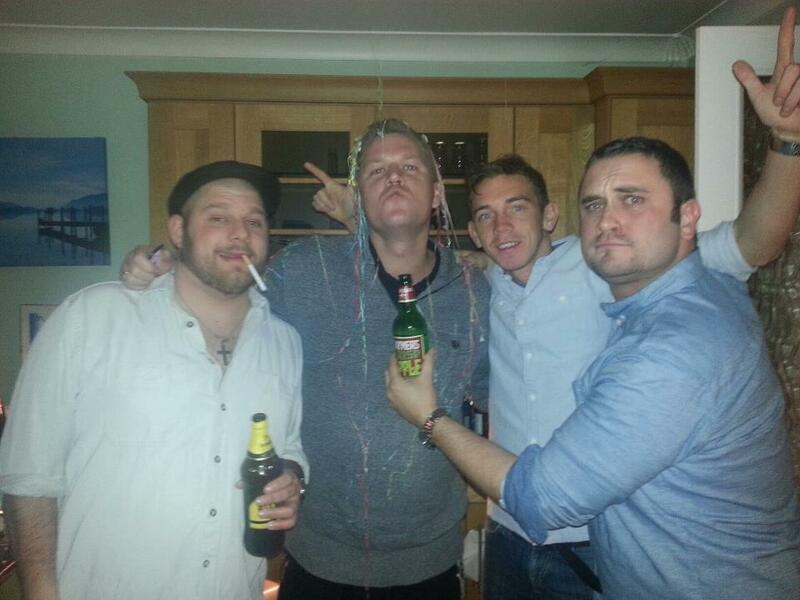 Onto the antics...well if you haven't yet seen the pics or evidence on facebook or twitter, then my my what a night. Vodka Jelly and general food fights, Jelly dancing on the ceiling, Duke snotting out a squashed frog* all over Chalmers shirt, and I quote I've had worse than that over my shirt before! *squashed frogs - A drink first discovered by the mob in the depths of Cornwall for Truro away. Which is where I swear I developed my current medical problem of Kidney Stones, Duke shakes his head and will always disagree with me about this! 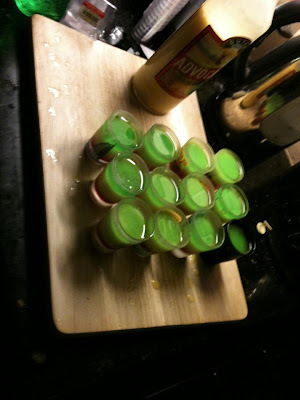 Champagne spillages, smashed glasses, and freshly baked cakes ( Loff'ers style) and a million and one party poppers! 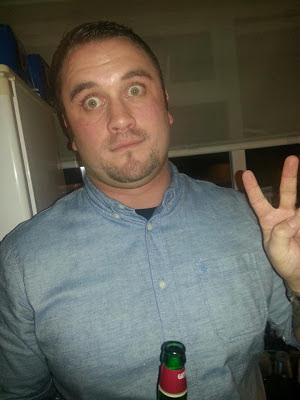 All in all an awesome night...and of course I destroyed the Buffet, cheers Windy! So we had the following members present and correct on the last day of the year, Myself, Dukey, Miller (Duh) Mr & Mrs Greek, Chalmers & Mrs Chalmers, and junior(ess) Chalmers, The Cheese (no..not the board), The Williams clan, and the Loff'ers! I think that's it... So no Mr & Mrs Taz, or Burgess, never mind chaps, you missed a good 'un ! Right match report time, we'll after all that's what this is for and that's what you've come to read. So I won't hold you in suspense any longer! 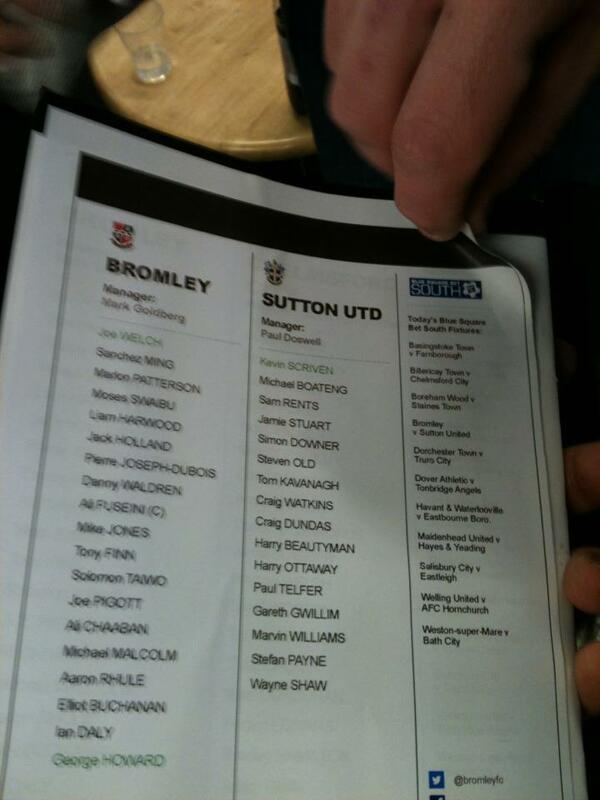 Match day programme-Bromley sort it out FFS! Selling a prog for 250 of my finest earn't pence to only bloody find that not only have you scribbled over the front to cover up the Bromley vs Chelmsford, but you've also gone and stuck down the line-up on the back of the proggy with prit-stick and inserted some kind of 'ol crap in the middle! Tut tut tut ! So we have gone with the following line up-Scrivs, Boats,Rents, Stuart, Downer, Old, Rivs, Kavs, Williams, Beauts and Ottoway! With Gwillmm, Griffiths, Telfer, Duns and Shaw on the bench. So we started off brightly getting together some great passes, and possesion of the ball, and generally knocking the ball around the park well, which was pleasing on the eye! A number of challenges were for some unknown reason missed by the man dressed in black. Clearly he must of been a tad foggy eyed after his drinking session last night..a tackle through the back of Kavs, Old getting caught, come on fella watch the damn game after all, there is 3 BIG points at stake here! I lost track today of the number of runs from Super Marvin Williams went on during the first half, but he seemed to have so much energy, and all the tricks were coming from his boots today, when taking on Bromleys back four-this Juan liked very much! As did the rest of the crew and supporters. Harry Ottoway playing up front with Marvs this afternoon put in an incredible shift running from every position to create himself space and chances, he seems to be running his socks off and improving more and more every game. Boats made some good runs up the right flank during the first half, putting in some low crosses to Marv, on one occasion Marv couldn't quite get the touch he needed and shinned one wide. All programmes should be made with pritt stick! We just seemed to keep going and going really up for this one today, we were creating chance after chance, spreading the ball well, and linking up well with each other. At times we seemed to lack a bit of the 'ol Dundo presence in the middle of the park, but hey ho that would change in the 2nd 45. We had a number of corners on both sides in the first 45 taken from both Kavs and Rents.On of which delivered by Rents was swung across in the direction of Ottoway, and O just couldn't quite get his head down and onto it at full stretch! Further fouls on Marvin-it seemed the Bromley back four were really struggling to keep up with his trickery this afternoon so decided to play the old clip his his heels and tug the shirt game-duly NOT noticed by the man with the whistle, one of which took Marv's clean of his feet, how he didn't see it god knows! Still we kept the pressure going during the first 45 ( we seemed to have stopped this passing the ball back type stuff , which occured at the start of the season-which was good) we were playing some real nice, dreamy flowing football at times, in between some rather robust challenges from various Bromley players!! Beauts decided he was gonna have a little go from about 20-25 yards out , but sadly was off target. The ball didn't seem to be sticking to his addidas predators like it normally does today! But he did put a good shift in. We again seemed to step off the gas a little in the centre of the park, but Beauts wasen't having any of it, and put in a perfectly timed sliding trademark tackle cutting out a Bromley run down the right channel. Again a further attack from Bromley down the left channel this time, and a poorly timed tackle by Boats,..funny that the Ref saw this one, and Boats was awarded his prize of a yellow..even though he was stamped on by the Bromley Player, and yet the Lino and the Ref didn't see it?! At this stage it seemed as if we had created a good few chances and we were knocking on the goalscoring door...but we just couldnt find it until...a frre kick was delivered into the box from the right hand side from Boats, which was collected by the Bromley Keeper...he then had a complete moment of utter madness, fluffed his lines somewhat ( I think he must have eaten Vodka Jelly before the game) he must have been seeing double or something went through his mind, fluffed the ball. Ottoway collected, went to pass it back past the keeper and slide it home, but the ball seemed to be going wide, and old Super Marv put the Warp Drive on and placed it with the inside of his right boot........HOME, back of the onion bag! Oh yes you read that right Ladies and Gents, Super Marv is just loving it right now, he scores when he wants! From the Surrey Senior Cup to Bromley away in a league match! 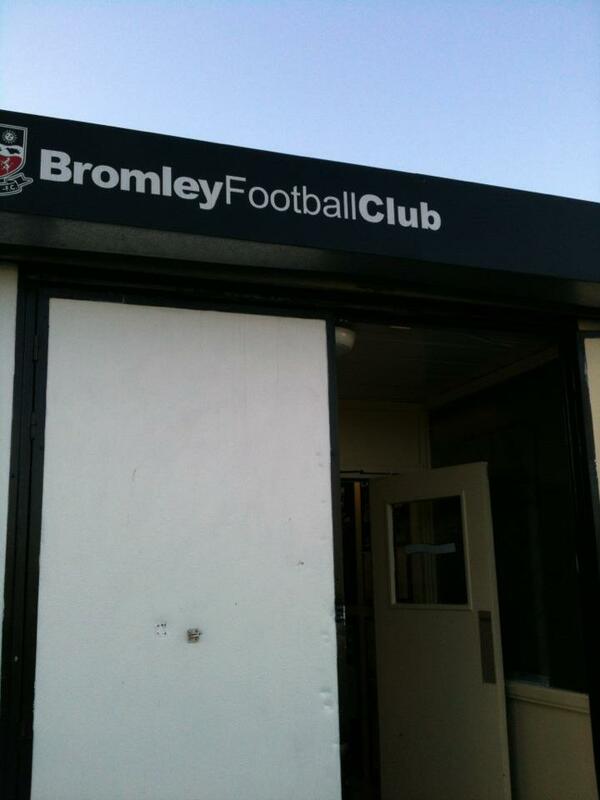 Further pressure mounting from Bromley, but my god they would be better at taking conversions at a rugby Match, let if fly fella let it fly...miles over the bar! Frustration...I guess so. So following on more corners from both sides, one of which was delivered by Kavs, duly cleared away by Bromley, was again picked up by Marvs, who decided to have a go from outside the box, which I think was deflected back out..only to be collected by Rents (now we all now that Rents current form is outstanding, and he has a dramy left foot, that I'm very jealous of) who decides to wind his left foot back and let fly a concorde strike, moving slighlty off to the left and heading towards the top left hand corner.....only to be denied by the poxy whisper of white paint on the crossbar........Damn! We should have returned back into the dressing room @ H/T two up...still onwards to the 2nd 45. We'll I'm going to summarise the 2nd 45 for you, for a number of reasons, firstly my brew has gone cold...again, secondly I'm getting R.S.I (a.k.a wankers cramp) in my wrist using a shite wireless keyboard, balanced like a Sam Page pirouette on my knee's....enough of that old cobblers....here goes! So out of the starting blocks we came, same pace, same passing game which was good to see-I said this to Taz, we need to keep the pressure coming, and get that second comfortable cushion goal, and well Harry Beauts must of read my mind. So we are knocking the ball around the Bromley Box like it's a game of Pinball. 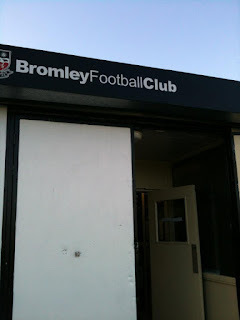 Bromley gave Harry Beauts far too much time and space in the box, and up he looked, picked his spot and left foot, thank you very much...and slotted it home beyond the keepers reach! Further runs down the right flank and a nice little dink into the box, but not collected by a yellow shirt. Further deliverys from both sides, one of which finsing Steve Old who made his run early loosing his man and flicking it back towards the Bromley goal, only to go slightly wide. More passing and attacking play from Brommer's putting a shot wide, and a cross from out wide, again which they put over the top, but in fairness they were playing some good two-touch football at times, trying to squeeze us and make room if they could. But with the Likes of Steve Old and Downs at the back, or as Downs is now know as the New Patsy Palmer, named after Ryan Palmer-after some of his right-footed clearances today.Still they both as did Stuart at the back today-had an impressive game. We now seem to be more clued up at he back, and we are thriving with confidence. Second half subs-Dundo and Leroy on for Kavs and Harry Beauts. So Dundo was on to bring some, va va voom or rather control to the middle of the park, which of course the tank that Dundo is thrives on! Speaking of which he did make one his trademark runs through the middle of the park, and had a shot off at goal but, just lacked a little bit of power from the bigman. A further sub was made. Harry O off and replaced by Gareth G.Again just to bring a little bit more of experience into the game. ...well thats where my notes ran out...I did say it would be a summary. That's all from Juan for now, Duke will be doing the next one, as due to a rubbish excuse , I won't be at the next game, so you won't have to hear any waffle from me for a while.